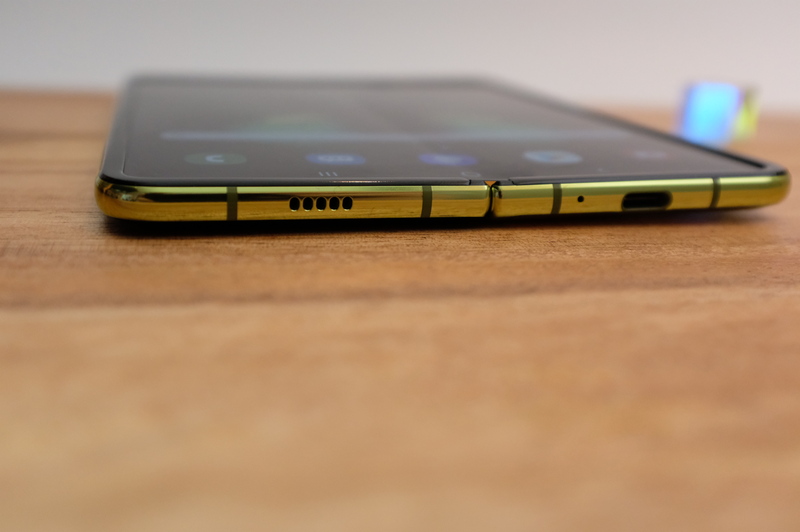 The Galaxy Fold is real. I’ve held it in my hands — a few of them, actually. Samsung’s briefing this morning was lousy with the things, in different colors and different states of unfolded. A month or so ago, this was anything but a given. After eight years of teasing a folding device, Samsung finally pulled the trigger at its developer’s conference late last year. But the device was shrouded in darkness. Then in February, it took the stage as the Galaxy Fold, but there was no phone waiting for us. Ditto for Mobile World Congress a week later, when the device was trapped like a carbonite Han Solo behind a glass display. With preorders for the phone opening today, ahead of an expected April 26 sale, things were getting down to the wire for Samsung. 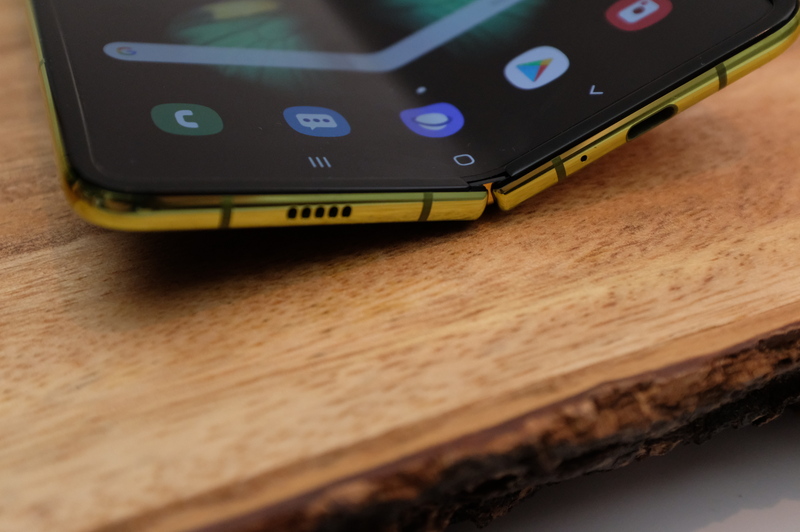 But this morning, at an event in New York, the Galaxy Fold was on full display, ready to be put through its paces. We happily did just that in the hour or so we had with the product. Once you get over the surprise that it’s real and about to ship, you find yourself pretty impressed with what Samsung’s done here. It’s easy to get frustrated about a product the company’s essentially been teasing since showing off its first foldable display at 2011, but a radically new form factor is an easy contender for first-generation woes. The fold, on the other hand, is a device that’s been run through the wringer. Samsung’s already shown us what fold testing looks like in a promotion video that debuted a few weeks back. The handset was subject to 200,000 of those machine folds, which amounts to a lot more than the life of the product. And yes, before you ask, they were subjected to drop testing, the same sort of violent gadget abuse Samsung puts the rest of its gadgets through — both open and closed. Ditto for the eight-point battery test it’s been subjecting all of its devices to since the Note 7. 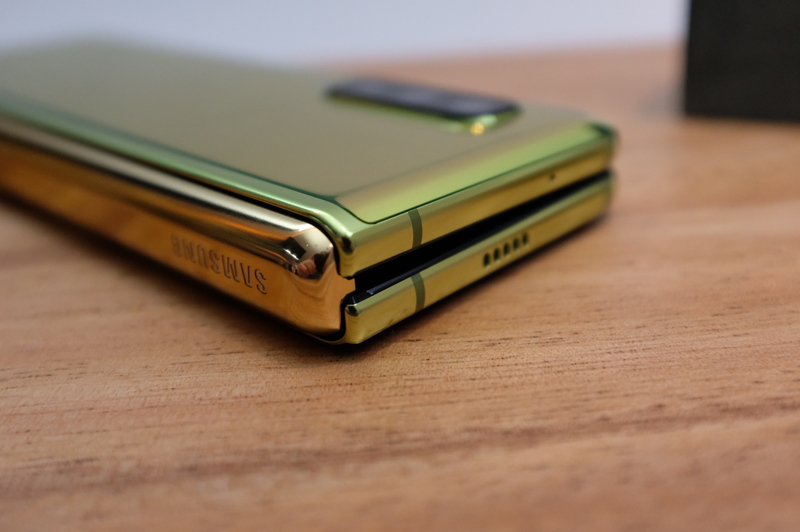 That’s doubly important given the fact that the Galaxy Fold sports twice the battery. All told, it has 4380mAh, split in two, on either side of the fold. That amounts to “all day battery life” according to Samsung. That’s the same claim you’ll get on most of these devices ahead of launch. Though the Fold apparently presents an extra layer of ambiguity, given that the company isn’t entirely sure how people are actually going to use the thing, once they get it in their hands. The folding mechanism works well, snapping shut with a satisfying sound, thanks in part to some on-board magnets hidden near the edge. In fact, when the Fold is lying screen down, it has the tendency to attract pieces of metal around it. I found myself absent-mindedly opening and closing the thing. When not in use, it’s like an extremely expensive fidget spinner. Samsung’s done a remarkable job maintaining the design language from the rest of the Galaxy line. But for the odd form factor, the Fold looks right at home alongside the S10 and the like. The rounded metallic corners, the camera array and, yes, the Bixby button are all on board here. The edges are split in two, with each screen getting its own half. When the Fold is open, they sit next to each other, with a small gap between the two. When the phone is folded, they pull apart, coming together at a 90 degree angle from the hinge. It’s an elegant solution, with a series of interlocking gears that allow the system to fold and unfold for the life of the product. Unsurprisingly, Samsung tested a variety of different form factors, but said this was the most “intuitive” for a first-gen product like this. Of course, numerous competing devices have already taken different approaches, so it’s going to be fascinating watching what the industry ultimately lands on when more of these products are out in the world. Unfolded, the device is surprisingly thin — a hair under the iPhone XS. Folded, it’s a bit beefier than two iPhones, owing to a gap between the displays. While the edges of the device come into contact when closed, they form a long, isosceles triangle, with a gap that increases as you move toward the middle. Unfolded, the seam in the middle of the display is, indeed, noticeable. It’s subtle, though. You’ll really only notice it as your finger drags across it or when the light hits it the right way. That’s just part of life in the age of the folding phone, so get used to it. The inner display measures 7.3 inches. Compare that to, say, the iPad Mini’s 7.9. So, small for a tablet, but way too big to stick in your pocket without folding it up. The size of the interior display renders the notch conversation a bit moot. There’s actually a pretty sizable cutout in the upper-right corner for the front-facing camera. Samsung’s been working with Google and a handful of developers, including WhatsApp and Spotify, to create a decent experience for users at launch. There are two key places this counts: app continuity and multi-app windows. The first lets you open an app on the small screen and pick up where you left off on the big one, once unfolded. The second makes it possible to have three apps open at once — something that’s become standard on tablets in the last couple of years. Both work pretty seamlessly, though the functionality is limited to those companies that have enabled it. Samsung says it’s an easy addition, but the speed with which developers adopt it will depend largely on the success of these devices. Given that Samsung’s worked hand in hand with Google/Android on this, however, gives the company a big leg up on the competition. All told, I’m pretty impressed with what amounts to a first-gen product. This thing was a long time in the making, and Samsung clearly wanted to get things right. 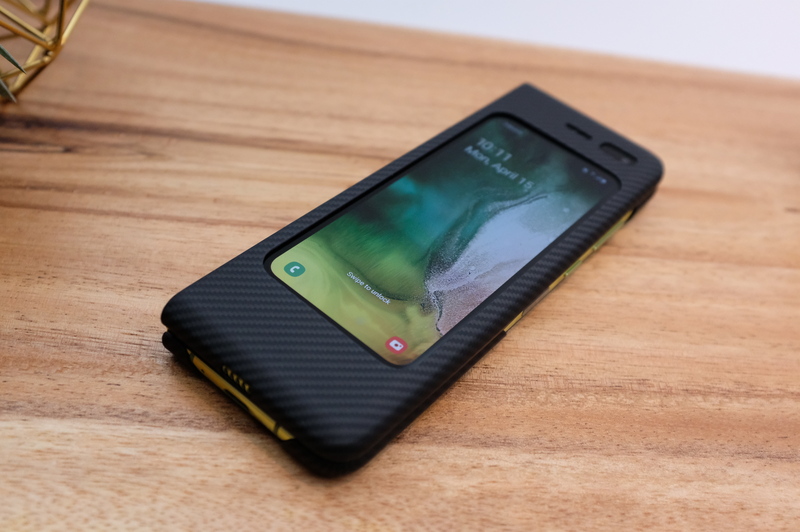 The company admittedly had some of the wind taken out of its sails when Huawei announced its own folding device a few days later. That product highlighted some of the Fold’s shortcomings, including the small front-facing screen and somewhat bulky design language. The Fold’s not perfect, but it’s a pretty solid first take at a new smartphone paradigm. And with a starting price of $1,980, it’s got a price to match. You’re essentially paying double for twice the screen. 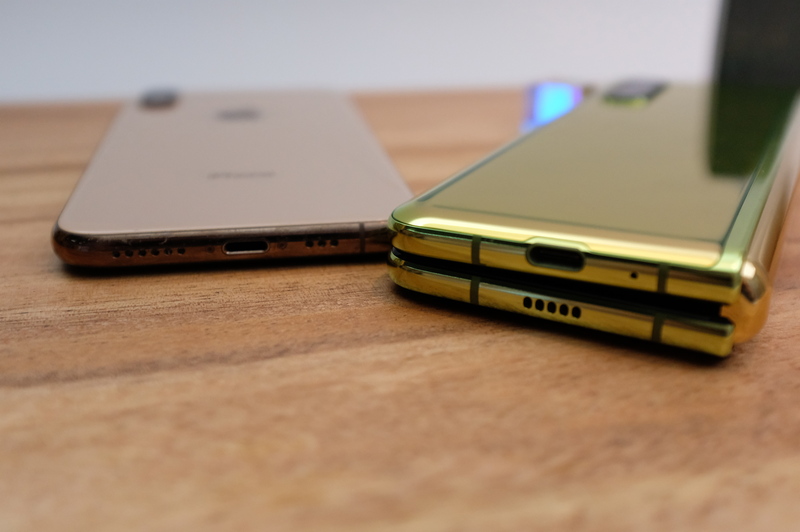 Samsung, Huawei and the rest of the companies exploring the space know that they’re only going to sell so many of these things in the first go-round at this price point. Everyone’s still exploring aspects like folding mechanisms, essentially making early adopters guinea pigs this time out. But while the fold doesn’t feel like a phone that’s achieved its final form, it’s a surprisingly well-realized first-generation phone.